Paul Sonkin isn't going to impress anyone at cocktail parties by discussing the companies he owns. He would probably impress with his returns, however. In addition, smaller companies are more nimble, and have better growth prospects (size can be a hindrance when trying to grow in percentage terms). Sonkin adds another reason. Smaller companies are easier to understand. Their business models are far more simple, and thus value can be found without having to understand several lines of business or complex financial statements. As we've seen with other value investors, Sonkin also looks for stocks that have been beaten down. 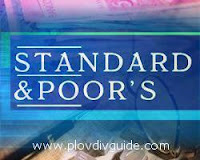 He screens for stocks that are at lows, looking for stocks that have been neglected or punished by the market. Like Greenwald says, "If it ain't broke, don't buy it"
In event-driven hedge funds, managers look for stocks trading at discounts due to unusual circumstances. Such circumstances can include merger arbitrage, distressed securities, and private placements. Here's an example of merger arbitrage. Let's say Blockbuster and Circuit City agree on a buyout whereby each share of Circuit City would receive 1 Blockbuster share. But Circuit City's price only jumps to $9, while Blockbuster's shares trade for $10. A merger arbitrageur might buy Circuit City shares, and short Blockbuster shares, hoping to profit from the eventual convergence of these values. We've discussed action on distressed securities here. Private placements are allow securities to be sold through private buyers rather than public offerings. In this way, companies can receive funding or help their owners get paid out, while avoiding the costs and rigour of having to go public. As such, these companies are sold at a discount to what they would sell on the public market. So...how much is your cousin Dave from across town worth to you? No, not that kind of relative value. Here, we're interested in the relative performance between two securities. In relative value hedge funds, we don't actually care whether the market goes up or down, because its not going to affect us. Why? Because we're long one security, and short another. Let's illustrate with an example. Let's say you think WestJet will outperform Air Canada. You buy shares in WestJet and you short shares in Air Canada. The only way you make (or lose) any money is on the relative performance between the two securities. If the airline industry is hit with a September 12th (some sort of sequel to Sept 11th), it doesn't affect you at all, because your short position in Air Canada will cover the losses in your long position in WestJet. The advantage of this strategy is its ability to perform well in both bull and bear markets. And this strategy is not limited to stocks; it's just what I used in the illustration above. You can use this strategy on sectors, countries, indexes, and even convertible securities (buy a company's convertible debt, short its stock...you get the interest payments for the debt you hold, but aren't subject to the fluctuations in the stock price!). Most of the value investors you hear about are super old. This is mainly because, to have proven yourself successful as a value investor, you've had to put in years of patience and shown that you can beat the market over long periods of time. Michael Price was fortunate enough to be recognized as a great value investor by the time he was 40. After graduating from college, Price worked for 13 years for Heine Securities. When Max Heine died in 1988, Price assumed direction. A few years later, he sold the company to Franklin Resources, and soon started his own smaller company. He has kept his fund private, so as not to succumb to the quarterly pressures inherent in public companies. One area where price has made a killing is on bankruptcies. For those diligent enough to study a company in or entering bankruptcy, an investment does not correspond to a random spin of a wheel. Before filing for bankruptcy: Here, the company may be desperate for cash to keep afloat, and thus may be willing to grant equity or debt at attractive prices. If an investor is confident the company will eventually return to normal, there are large gains to be made here. A reorganization plan: Two-thirds of each class of security holders must approve the plan for it to go through, so controlling one-third of the votes of any class garners some control, which can result in payoffs if used well. Liquidation or re-emergence of the firm: Either liquidation, whereby stakeholders are paid with senior debt holders first in line, or re-emergence, where debt is substantially reduced, and the company is now in a position to be more profitable than it was before. A lot of people invest in bankruptcies looking for dead-cat bounces or other random movements in prices. But there is value to be found for those willing to put the effort into doing the work! You want to focus on your career, so you don't have time to research individual securities to invest in. But you want returns that are higher than the GIC rates banks are offering. One decision you might be faced with is whether you should invest in a hedge fund or a mutual fund. 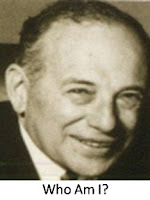 Alfred Winslow Jones came up with the concept of hedge funds in 1949. His strategy was simple: buy undervalued stocks while simultaneously selling overvalued stocks. That way, even if the entire market drops, you're hedged! Today there are many flavours of hedge funds, but for the most part, they seek to "hedge" for atleast some of the possible risks inherent in investing. Because many hedge funds "hedge out" market risks, they are often judged by their absolute returns, while the mutual funds are judged against an index. 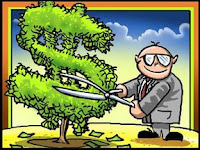 Hedge fund managers also tend to have substantial investments in their own funds as compared to mutual funds, which lends itself to an alignment of interests between investors and the managers of their money. The fee structure also tends to be different, with hedge funds tending to reward their managers on largely performance-based metrics, rather than simply on assets under management, which is common for mutual funds. To hedge or not to hedge? As an investor, it will depend on your individual preferences. Seth Klarman...the only OTHER guy to beat the market? When I was doing my MBA, my finance professor was extolling the virtues of Efficient Market Hypothesis (EMH) when a student asked, "But what about Warren Buffett? Doesn't he serve as evidence that markets are not efficient?". My professor stated something to the effect that Buffett's pretty much the only guy that can beat the market. Fortunately for us, that's not the case. Fortunately for this prof, the professor market is not efficient either and therefore he still has a job. Seth Klarman is an example of another value investor who has consistently beaten the market. Since the inception of The Baupost Group in the early 1980s, Klarman has been generating returns of nearly 20% per year. What may be most amazing, is that he has done this with his first priority being risk, not returns! In this regard, he follows the oft-referenced first rule of investing: "Never lose money", and pays equal attention to Rule #2: "Don't forget about Rule #1." Dropped from the index. Many fund charters preclude them from owning shares. A spin-off. Large funds will pull the trigger on a sale of these often smaller IPOs. Involved in a bankruptcy proceeding. Again, certain charters my restrict ownership of these shares. In the wrong hands. For example, banks owning foreclosed real estate. By taking advantage of sellers who are selling for non-economic reasons, one can buy at a discount and thus generate excess returns. Glenn Greenberg's not telling you to pay close attention. Nor is he suggesting you should pasteurize your fruit drinks. Greenberg is saying he disagrees with the oft-used expression "Don't put all your eggs in one basket" when it comes to investing. Since 1984, Greenberg has outperformed the S&P 500 by almost 10% per year. One of the chief reasons he attributes to this is a strategy of anti-diversification! For example, he will not buy a stock unless he is willing to commit 5% of his portfolio to it. This forces him to know all the companies he buys very well. He attends their meetings, reads trade journals, and knows his companies better than the sell-side analysts. Sounds like a pot-shot at sell-side analysts; how does he know how much they know? Well Greenberg started out as one in 1973. Following a brief elementary and highschool teaching career, Greenberg completed his MBA at Columbia and joined JP Morgan as an analyst. Greenberg saw first-hand the follies of the industry, as his firm could not buy enough Avon or Polaroid shares, despite the fact that they were trading at over 100 times earnings! Needless to say, the Dow Jones declined 40% over the next two years. These events laid the foundations for Greenberg to be skeptical of prevailing wisdom and to make sure he understands a company extremely before he buys an individual stock. Keeping his portfolio at between 8-10 companies allows him to do just that. Many a market connoisseur can name two value investors. No points for guessing who those two are. But to the chagrin of Efficient Market Hypothesis (EMH) proponents, there are many value investors who have seen much success. Mario Gabelli is one such investor. Gabelli was schooled in the Benjamin Graham tradition of value investing. Graham manually searched through flurries of financial data to find companies trading at discounts to their current assets minus their total liabilities (what he termed net-net companies). With today's databases of information and computational speed, such companies are identified before they become grossly undervalued. So Gabelli created Private Market Value (PMV), which Bruce Greenwald calls a "value metric that is less easily uncovered than net-net but no less discriminating in its ability to identify underpriced securities". The idea behind PMV, as defined by Gabelli, is to determine the value an informed industrialist would pay to purchase assets with similar characteristics. The principle behind PMV is that because the market price is determined based on the last trade, it's not necessarily a good gauge of what a knowledgeable buyer would pay for the company. PMV seeks to exploit any such differences, with the idea that eventually a catalyst will come along and bring the market price to PMV levels. An outlier is an observation that is numerically distant from the rest of the data. When comparing historical returns between different groups of stocks (for example, low P/E vs high P/E), it's important to note any individual stocks that might be skewing results of the whole group. Therefore, the first thing you should do is identify a threshold of return (for example, annual returns of 1000%) that causes material changes in your results. That is, these outliers are altering your results! So once you've identified such stocks, what should you do about them? The answer, as always: it depends! You have to dig into the outliers to figure out exactly what's going on. In some cases, you may want to throw the outlier out. This could occur if you found errors in the underlying data, or if some occurrence caused this that you don't expect to happen again. In this case, when you delete the outlier, you will be more comfortable projecting your results going forward. In other cases, you may want to keep them in. If some sort of unanticipated innovation or fraudulent behaviour caused a few particular companies to have returns that deviate from the norm, you may expect these sorts of events to occur at the same rate in the future. In the case of outliers, there are no easy answers. 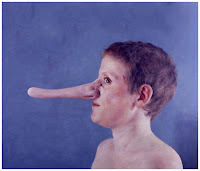 One has to dig through the outliers and figure out whether they should kept and considered potential future occurrences, or tossed and considered liars. Another exciting lesson when comparing historical performances of groups of stocks: don't forget to account for the lag between fiscal year-end results, and public knowledge of those results! To use an example, the Compustat database might tell you that a company's stock price was $40 on December 31st 1980, and EPS was $4 at year-end December 31st of the same year. But when the stock was $40 at the end of the year, investors did not yet know that EPS would be $4. They were most likely still trading on the last twelve months of EPS, which would not have included the 4th quarter of 1980. What to do? Introduce a lag on price. Compustat will spit out the exact end of the fiscal period, so add some time onto that for the market to come to terms with the results of the fiscal year end: Grab your price 1-2 months later than the fiscal year-end to get a more accurate read on what data investors were trading on! Symbols change; Companies stay the same...or do they? Unfortunately, most companies that attempt to change their strategic directions fail. Nevertheless, there is no shortage of those that try. And why shouldn't they? Management are rewarded heavily when they take risks and are successful. On the other hand, golden parachutes prevent them from realizing an equal and opposite punishment for failure. The result? A management intent on risky new strategic directions! This brings me to a topic which again poses a technical challenge for anyone trying to do historical analyses on stock performance: often, along with these changes in strategic direction, companies change their stock symbols! Fortunately, Compustat takes care of this problem...most of the time! By back-changing a company's symbol each time it makes a change, Compustat makes our life easier. For example, you won't find any reference to SUNW (Sun Microsystems' old symbol) in the database, only their brand new JAVA symbol! This system does still have its flaws, however. For TimeWarner, who bought AOL, decided to go with the AOL symbol (quiz: so before the merger, does the symbol AOL represent TimeWarner or AOL? ), and then decided to ditch the AOL moniker when they realized they overpaid for the transaction, how do you track these companies historically for analysis? Rather than track companies by symbol, use the GVKEY ID, which is unique for each company. And pray that management does not successfully lobby for the right to change their GVKEY each time they change strategic directions. Last week, a friend of mine mentioned that my blog has become 'coma-inducing'. This was a clear signal to me that I'm finally reaching my target market: the finance industry! 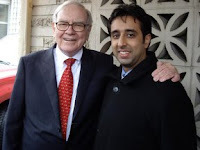 On that subject, today's post is about a recent trip I undertook to meet Warren Buffett. A couple of months ago, Warren Buffett was kind enough to invite a group of us to Omaha to meet with him at Berkshire headquarters and subsequently dine at one of his favourite restaurants, Piccolo Pete's. Those of us who have been following Buffett's comments for several years did not hear anything from him that we haven't heard before. He was the man we've come to know through reading his annual letter to shareholders and watching or listening to his commentaries. Nevertheless, it was an eye-opening experience. The most striking thing about him was his humility, evidenced primarily in the way he carried himself. He drove a couple of us to the restaurant, didn't bring an entourage with him, and didn't leave until all our questions were answered. We had originally planned to chip in a few bucks to buy Buffett a token of our appreciation for taking the time to meet us. But then we decided that would just be silly. What can you get for a man who can have anything, but wants nothing? Boring title isn't it? I wanted to avoid the overused title "Size Matters" which for some reason is used as a headline for topics ranging anywhere from mp3 players to water-buffalo mating rituals. Nevertheless, the relevance of this assessment can't be dismissed. Stocks with lower market capitalizations have been found to perform better than their indexes, originally coined the "size effect" by Wolf Banz. Furthermore, in a dissertation by John J. Schmitz (now a portfolio manager at SciVest), it is demonstrated that the "size effect" cannot be explained even with multivariate factor models. The problem value investors have with the EMH arguments has to do with the definition of risk. Value investors don't see risk as being equal to price volatility. If you do your homework: understand your company, its industry, and its financial position, you will be positioned to find companies that have low risk and that are trading at discounts to their intrinsic value. If you don't believe me, consider the returns of value investors including Warren Buffett. Volatility is not risk! Volatility is good: it allows you to find companies trading below their intrinsic value. When running comparisons between groups of stocks, it is important to avoid falling into the trap known as 'survivorship bias'. The best description I've read about survivorship bias is in the article "Two Common Errors in Empirical Financial Research" by Burton G. Malkiel (introduction here). Incidentally, Malkiel is also the author of "A Random Walk Down Wallstreet", an oft-referenced book for proponents of EMH. Basically, survivorship bias occurs because there is a tendency for failed companies not to be included in performance research because these companies no longer exist. For example, if you looked at the S&P 500 today, and looked at the performance of these companies in the past several years, the returns you calculated would overstate the actual returns of the index, because you would only be including companies that were successful enough to remain on the S&P 500 today. Survivorship bias has been one of the principles used to dispute many results that have shown low P/E outperformance. In our research, we have had to be careful to avoid survivorship bias in our results. As such, we have had to flag companies that have not survived, and attempt to determine what did happen to these companies (bankruptcy? buyout? two events which both result in removal from the index, but with very different implications from a results point of view). To demonstrate that low P/E stocks outperform high P/E stocks, it's necessary to use a collection of stocks belonging to a particular index or exchange. It does no good to anyone to demonstrate low P/E outperformance on a collection of random stocks that was spit out by the complete Compustat database. Unfortunately, it is not easy to find the historical compositions or constituents of various indexes. Even the Standard and Poor's website only lists the S&P 500 constituents (as well as changes to this index) back to the year 2000. The answer to garnering this historical data lies within Compustat. One can return S&P 500 data, and one can also specify the exchange that each stock belongs to, which would allow appropriate groupings of each stock during processing. After selecting "Entire Database" in the "Search" area, select CPSPIN under the optional heading "conditional statements". Select the ZLIST variable in the "Variables" section. You now have a way to group stocks by exchange and identify stocks belonging to the S&P 500. An implication of the Efficient Market Hypothesis (EMH) is that a stock's returns are commensurate with its level of risk (a good article on EMH is located here). However, several researchers have attempted to demonstrate that low P/E stocks have outperformed high P/E stocks over time. Proponents of EMH have responded, however, that low P/E stocks have carried higher risk levels, and therefore the returns are simply commensurate with the higher risk undertaken by the investor. With their own research, they have further attempted to demonstrate that low P/E outperformance has been at best temporary over time. In order to get to the bottom of this argument and arrive at our own conclusions, my business partner and I decided to do our own first-hand research on whether P/E has any bearing on the expected returns of a group of stocks. To do this, however, we needed to find (in order to analyze) a data set containing historical annual (or more frequent) price and earnings information for a complete group of stocks belonging to indexes for which we were interested (Nasdaq, Russel, S&P etc.). This is easier said than done. Financial databases like Bloomberg contain a plethora of information, but almost all of it is current (normally that's a good thing, but not in this case!). A search on the web results in several articles extolling or critiquing this apparent low P/E phenomenon, but few references to the actual data sources. I then stumbled across Yale Finance Professor Robert Schiller's website, which contains monthly prices and earnings over the last 130 years. Unfortunately, this data is only for the S&P 500 as a whole, not individual stocks. Finally, I came across a resource called Compustat, at the Bud C. Johnson Library at the Richard Ivey School of Business. Through Compustat, one can input a list of stocks (symbols delimited by spaces) and a database query will return annual price and earnings data over a specified time period in a CSV file. We look forward to analyzing this data and sharing our results. Much has been made of Best Buy's (NYSE: BBY) $2+ billion investment in The Carphone Warehouse, announced Thursday, May 8th. This article suggests a manner in which to think about this investment, from the point of view of a value-oriented owner of Best Buy shares. Previously, Best Buy had announced that it plans to buy back approximately $5 billion worth of shares in the next few years (original release). Best Buy has implied that the cash from the investment in The Carphone Warehouse will come from money that was originally earmarked for share repurchases (they stated as much in their announcement here). Therefore, the question is, would investors benefit more from the investment in The Carphone Warehouse, or from the repurchase of outstanding shares? This will depend on what your valuation is for Best Buy's shares. You can think of the repurchase of its own shares as you would any other investment Best Buy makes. Is it a good use of capital? My valuation of Best Buy comes to approximately $58, and the median analyst target is $53 (according to Yahoo Finance). You can subsitute your own valuation for best buy's shares to determine the ROI from the share buyback. Using the median analyst estimate, with the share price before the announcement of approximately $44, this equates to an ROI of about 20% ($9 in value gained for every $44 spent). Can Best Buy get a 20% return on their investment in The Carphone Warehouse? It's possible. Best Buy's ROE for 2008 is just over 30%. However, a better gauge of the return to expect from this investment would be the returns The Carphone Warehouse has been generating, as the competitive environment in Europe is what's relevant, and Carphone CEO Charles Dunstone will lead the new joint venture. Return on Equity for The Carphone Warehouse is consistently closer to just 10%. Clearly, I believe the better choice would be to use that money to repurchase shares. But management has done an excellent job of getting returns on shareholder capital, so I'm inclined to allow this team to continue to make these difficult capital allocation decisions. I do still fear that management wishes to expand its empire at the expense of profitability, but on the other hand I'm hopeful they believe The Carphone Warehouse can improve its profitability with the benefits of the scale that Best Buy brings to the table. Or maybe management does not believe the shares are as undervalued as I do. It's a situation worth keeping an eye on.